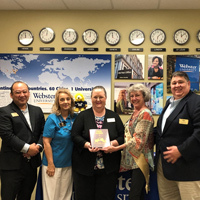 Webster University staff and the San Antonio Chamber of Commerce joined for a "rededication" of this metropolitan campus location. The metro site is one of four Webster campus locations in the San Antonio area, along with military locations at Randolph Air Force Base, Lackland Air Force Base, and Fort Sam Houston. On April 14, the Confucius Institute at Webster hosted its annual "Chinese Bridge Competition" for high school and middle school students. Contestants participated in both the speaking and talent categories of the competition. Novice and seasoned competitors alike poured countless hours into preparing. Talents included calligraphy, kung fu, music, and dance. 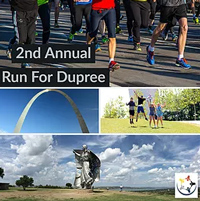 Bridge Builders STL, a nonprofit organization facilitating cultural immersion, leadership development, and community service for youth within diverse communities, will hold its 2nd annual 5K Fun Run and Walk on April 27, 2019. A discount is available for Webster University community members who sign up, with proceeds benefiting the St. Louis-Dupree Exchange, an immersive exchange program St. Louis and Lakota youth. Bridge Builders is founded by Webster student Josh Krakos. 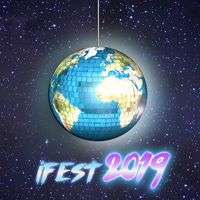 Webster University's annual International Festival, or iFest, will be held Friday, April 12, in Grant Gym from 7-10 p.m. 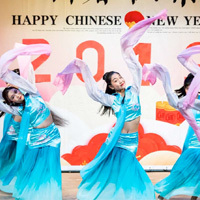 This year's exposition features food, music, dance, and displays representing many different countries and cultures, celebrating and showcasing the international diversity of Webster. Join us this year as we transform the gym into the biggest global dance party of the year! You've never seen any international event like this. 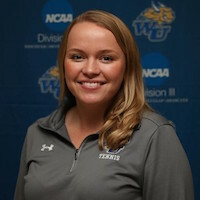 Webster University senior, Madison Watts, has been selected as one of four national finalists for the 2019 Intercollegiate Tennis Association (ITA) Ann Lebedeff Leadership Award, the organization announced on Monday. The ITA Ann Lebedeff Leadership Award, which is endowed by Billie Jean King, was created to honor a recent college graduate who played college tennis and demonstrated excellence on and off the court, leadership on his or her team as well as on his or her college campus and in his or her community. On April 3, the Webster Student Veterans Organization (SVO) will host "Laughing At Life’s Challenges," a day of networking, camaraderie and interactive learning for both civilians and military members to utilize comedy and the arts to actively combat life stress and adversity. Two applied improv comedy resiliency workshops, one with general/civilian focus and one with a military/veteran focus, will be instructed by actor/comedian and veteran BJ Lange. A screening of the animated series "DISCHARGED" followed by Q&A with creator Maj. Jas Boothe, is also planned. The events will be held in Browning Hall Auditorium, and are free and open to everyone. The 4th Annual Diversity and Inclusion Conference was a tremendous success thanks to speakers, panelists, volunteers and attendees. We hope that you found the conference informative and worthwhile as members of our community came together to expand the conversation on diversity and learn how to become a more inclusive society. The event this year broke all previous attendance records and would not have been possible without the contributions of so many of you and our generous sponsors. Webster University's 4th Annual Diversity and Inclusion Conference drew more than 500 speakers, panelists, volunteers and attendees to the Webster Groves campus, coming together for three days of thought-provoking activities to expand the conversation on diversity and learn how to become a more inclusive society. 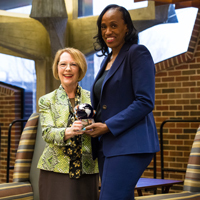 The fourth annual Diversity and Inclusion Conference drew coverage on several St. Louis outlets this week, and viewers can tune into KPLR Channel 11 this weekend to catch an interview with Morgan Stanley's Marilyn Booker, who delivered the keynote on Thursday. ... Susan Polgar was featured in a profile by WFMZ News in Pennsylvania about how she has broken barriers in her career and inspires young girls today. Students met with a variety of local non-profit organizations at Webster University's first Volunteer Expo, co-hosted by The Career Planning and Development Center and Student Employment Program. The event created a chance to highlight organizations involved in the Community Service Work-Study Program while giving local non-profits an opportunity to promote and showcase their volunteer roles available throughout the year. 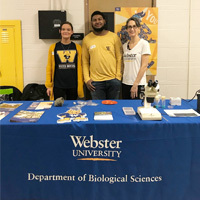 The Department of Biological Sciences represented Webster University at the STEM (science, technology, engineering and math) Extravaganza at Hazelwood Central High School in Florissant, Missouri, on Saturday, Feb. 23. Assistant professor Victoria Brown-Kennerly and Exercise Science program director David Reddy were joined by two undergraduate students to make connections with many college hopefuls. 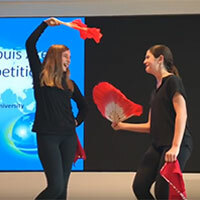 The Confucius Institute at Webster University partnered with the Chinese Education and Culture Center in St. Louis (CECC) to bring a Lunar New Year Celebration on Feb. 11. The event, held on the Browning Mainstage at the Loretto-Hilton Center, strove for inclusivity, with a bilingual format. Performers traveled from both far and near to contribute to the celebration. Webster University Ghana kicked off Black History Month with a panel discussion on “Black Migration – Exploring our Roots and Beyond” focusing on the African Diaspora returning to Ghana. 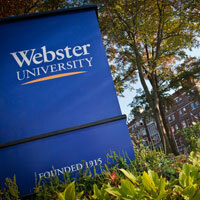 Christa Sanders, Campus Director of Webster Ghana, moderated the discussion at the W.E.B. Dubois Center, resting place of the great scholar and activist, W.E.B. Du Bois. The Career Planning and Development Center is excited to provide an opportunity for Webster students to interact with local organizations who have volunteer roles available. Service-based experiential learning is an opportunity for students to hone workplace professional skills while making a direct impact in the St. Louis region. 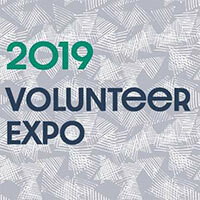 At this event, 15 local organizations will have information available to students for a wide selection of volunteer activities throughout 2019.